How Can You Really Keep Your Soil Healthy in Colorado? The prolonged use of unsafe pesticide, contamination with various chemicals and the use of synthetic fertilizer over a long period of time, all point to the fact that your soil might not be as clean as you think. Even if you changed it up and started using safer products, you’ll find that many of the toxins and harmful compounds will not exit the soil as easily, especially in a dry area like Colorado, where rainfall doesn’t wash the soil as often as in most other states. Replace part of your soil with fresh, healthy soil, and use organic products to grow your plants and veggies. Introduce the use of only organic compounds and fertilizers over a longer period of time (we’re talking years), and test the pH balance of your soil from time to time, to see if you need more. 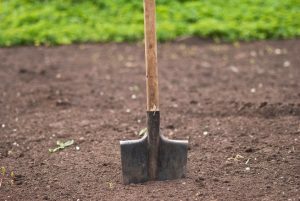 Call a Colorado service to clean up your contaminated soil before planting any seeds. Regardless of the methods or services you use to clean up your soil, either at once or over a longer period time, it’s important to understand that the soil is a chemical soup and a complex ecosystem. So, as with any part of nature, what you’re looking for is a balance of the right substances, not an excessive use of one type of substance, such as alkaline compounds or Calcium Carbonate. In addition, you will need to call before you dig Denver damage prevention technicians to ensure that underground buried pipes and cables are not broken in the digging process.